Changing the aspect ratio is easy in the BIGVU app. 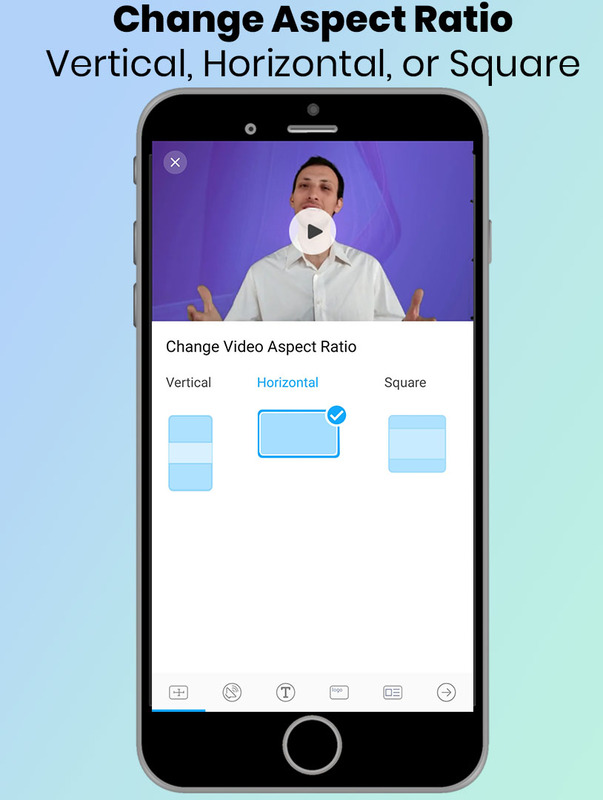 The "aspect ratio" of a video refers to whether the video is horizontally long and vertically short (landscape mode, also referred to as 16:9), vertically long and horizontally short (portrait mode, also referred to as 9:16), or square (a 1:1 aspect ratio). A square video is recommended if you will be sharing your video on mobile or on Facebook, Twitter, Instagram, or LinkedIn. First, navigate to Style Your Video screen for your video. If you are done styling your video, click the furthest right panel, and click "Apply Style and Generate Video". The app will send you a notification and an email when the video is ready. Style Your Video from within web app - the BIGVU desk. You can change the aspect ratio of your video either in the mobile app or with the web app - the BIGVU desk. Immediately after recording with the teleprompter app, select "upload to cloud"
Go to desk.bigvu.tv and login with your username and password (this will be the same one you use for the mobile app). From the homescreen, open the relevant story. Once you find the relevant story, click the menu button on the story (3 vertical dots) to bring up the menu. Each video listed below the larger video player corresponds to a single take (a recording) that you have uploaded to the desk. Choose the relevant video, and click the menu button for that video (3 horizontal dots). Click on "Style Your Video".